Looking for a RV Park in a popular tourist area. 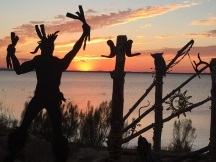 Check out the RV Parks below near Canton, Canyon Lake, at Cedar Creek Lake, in Ft. Worth, on Lake LBJ in Kingsland and near Marble Falls, on Lake Buchanan, on Lake Marble Falls in Marble Falls, on Lake Livingston, Texas, and on Lake Whitney. Voted Area's Best RV & Cabin Resort and the BEST VALUE in 2 counties! Stunning sunsets, Clean cabins, incredible pool and hot tub, large pull through sites, Clubhouse, Boat Ramp, easy deep water access for boaters and much more. RV park, cabin rentals, and camping on the beautiful North San Gabriel River in Liberty Hill, Texas, 42 miles north of Austin. Need a getaway? Come on down to Waterfront Lodge, Cabins, and RVs! We are located one hour SE of Dallas at beautiful waterfront property with over 200 feet of waterfront. 16 waterfront cabins, 7 waterfront RV sites, and 46 RV sites overlooking the lake. The Hi-line Lodge sleeps 20 and is great for family reunions. Do you know about a Web Site that belongs on Touring Texas? Thank you!